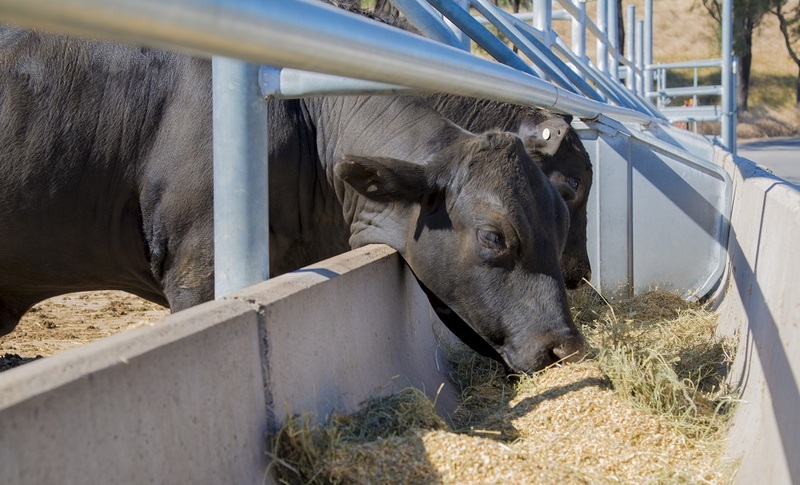 Cattle in a feed lot – an example of intensive farming. When it comes to climate change, agriculture and the livestock industry often get a bad rap. Around 11.6 per cent of human-related greenhouse gas emissions come from farmed ruminants – animals such as cattle, sheep and goats. While this has bad implications for climate change, it also presents opportunities to mitigate emissions and reduce livestock’s carbon footprint. A new report led by the Food Climate Research Network at the University of Oxford, and involving our researchers and a number of international research institutes, studied the extent of emissions and various claims around reducing emissions. Co-lead author and PhD Candidate Cécile Godde said the report focussed on the grass-fed beef industry and its impact on climate change. “This report is about giving a balanced overview of the knowledge amassed on grazing systems, covering modelling as well as data from different grazing systems in real world trials,” said Ms Godde. The good news is that improvements can be made, with reductions of between 4 – 11 per cent of emissions in the livestock sector (or between 0.6 – 1.6 per cent of total annual greenhouse gas emissions) possible through the adoption of improved grazing management. However, Ms Godde said there is an overlooked complexity to grazing systems that makes improvements very context specific. “Worldwide, farmers are faced with different soil, climate, feed and livestock breed scenarios, which interact in complex ways,” she said. Separately to this report, technologies such as feed supplements and whole of landscape management practices also hold promise for changing the industry’s greenhouse gas footprint. We are also working on livestock efficiency, aiming to increase productivity from less feed intake, which would have a positive effect on methane emissions. The report also found that while it is possible to sequester carbon in the soil, this is only of time-limited benefit as soils reach carbon equilibrium within a few decades, and from that point onwards equal amounts of carbon flow out as they flow in. Complicating matters is that carbon sinks are also reversible – what can be done, can be undone. Soil carbon stocks can increase through good soil management, but also be lost through bad management or climatic fluctuations such as a drought or fire. Ruminants are also well known for expelling methane, which is a potent greenhouse gas around 30 times more harmful than CO2. Unlike CO2, methane is transient and disperses in the atmosphere. However, the report refutes claims that this means that methane is not a problem, showing that its greenhouse impacts continue as long as sources of methane (including the ruminant livestock sector) continue to exist. The report concludes that reducing the demand for livestock products is a viable approach to minimising greenhouse gas emissions. “This report is about finding the least bad options for feeding the world in a sustainable way,” said Ms Godde. A future report will study the relationship between livestock systems and biodiversity. We’re working to secure food security and fight climate change. This is an important, and as your report suggests ,complicated subject. We should take careful and well considered action. But how to get this action happening on the wider scale would seem problematic on its own. Best of luck with that.